Which Cricut Mat Should You Use? Hello there! It’s Ginger from GingerSnapCrafts.com. Today we are going to tackle one of the most frequently asked Cricut questions. Which mat should I use for my Cricut projects? 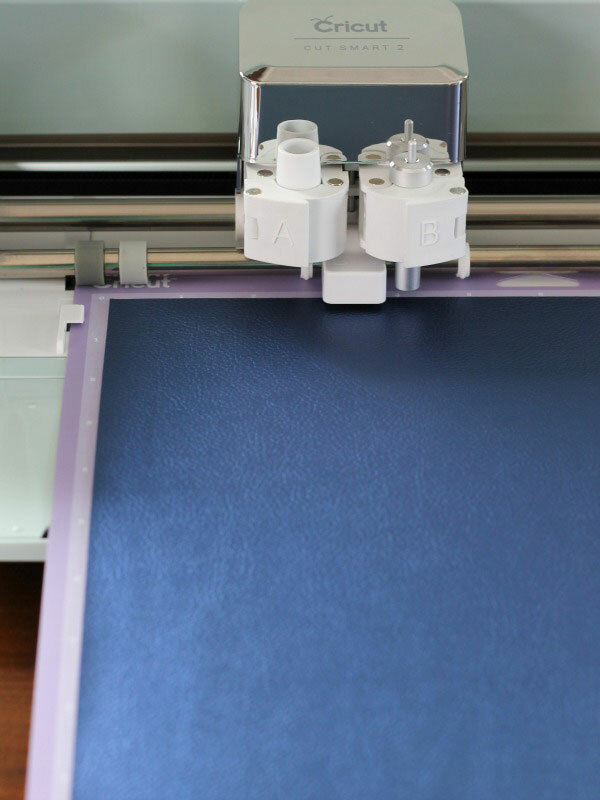 It can be a little bit overwhelming at first, but I’m here to show you how easy it is to select the perfect mat for your next project with your Cricut® Explore Air. 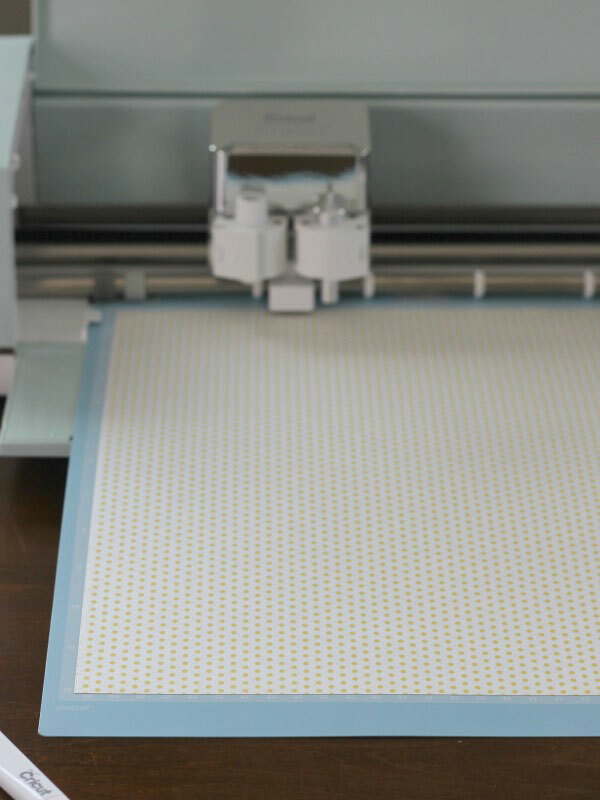 Cricut makes 3 different mats to use with their Explore Air machines: Cricut® LightGrip Cutting Mat, Cricut® StandardGrip Cutting Mat, and the Cricut® StrongGrip Cutting Mat. Each of these mats is used to cut many different types of materials (from lightweight materials like printer paper and washi tape sheets to heavyweight materials like faux leather and corrugated cardboard). 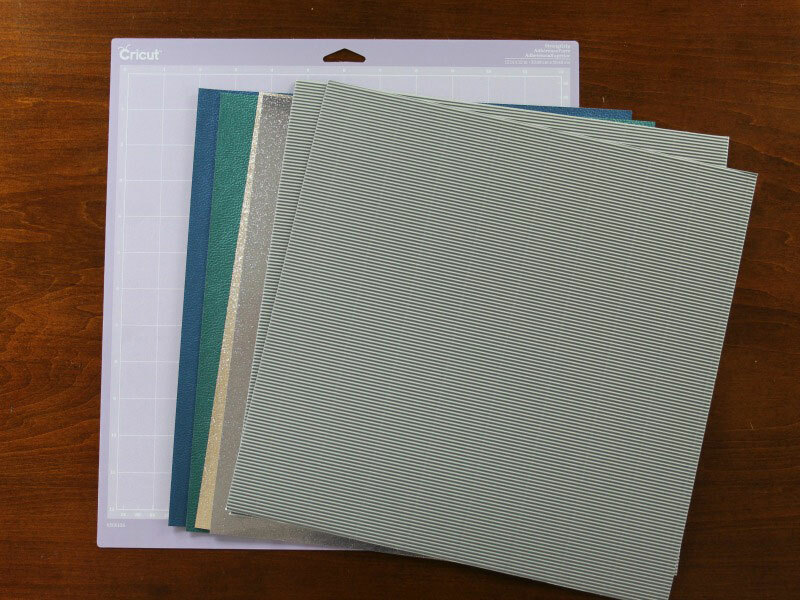 What material you are cutting will make a huge difference in which mat you will want to whip out when you are making a Cricut project. I recommend buying a mat bundle when purchasing your machine. Having all three mats on hand will come in super handy as you try out new materials and projects with your machine. 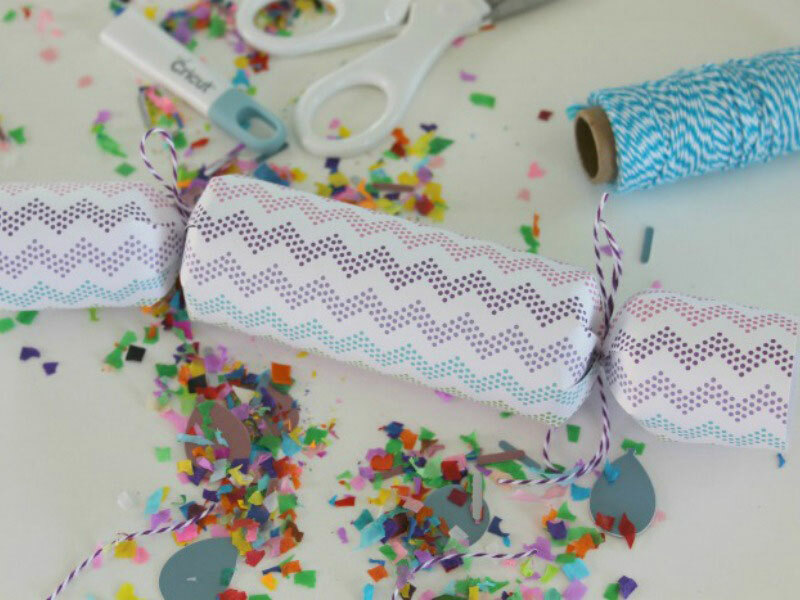 I used the LightGrip mat when I made these cute party poppers using thin scrapbook paper. You can find the cut file right here. 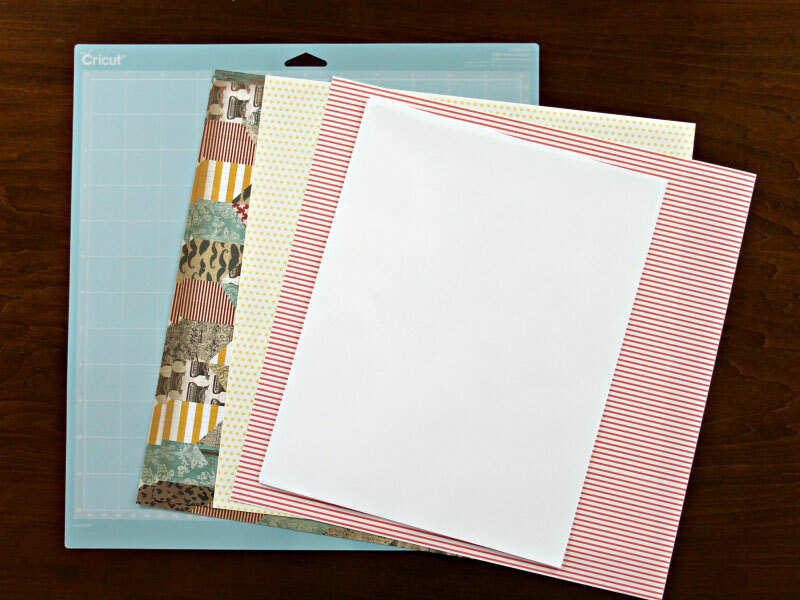 Don’t forget to pin your favorite Make It Now projects, so you can make them later! 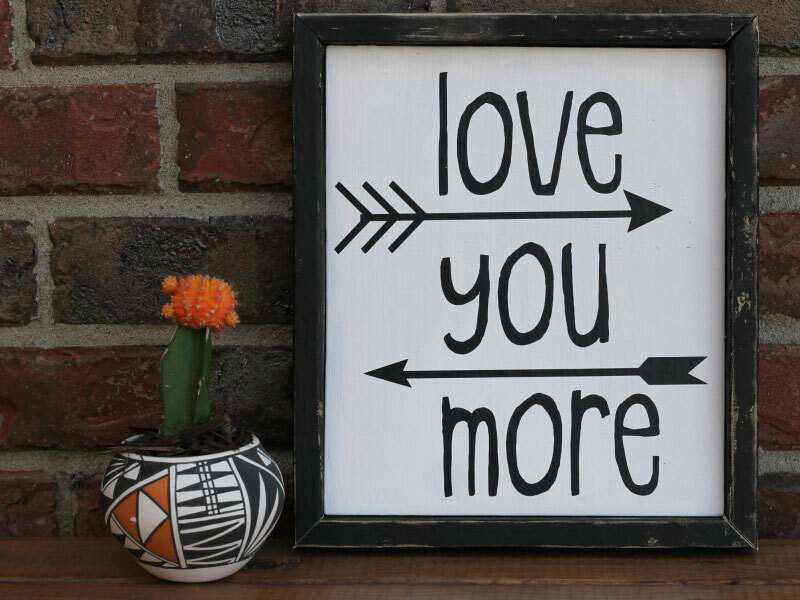 I used the StandardGrip Cutting Mat when I cut the vinyl for this adorable Love You More Sign. You can find the cut file here. 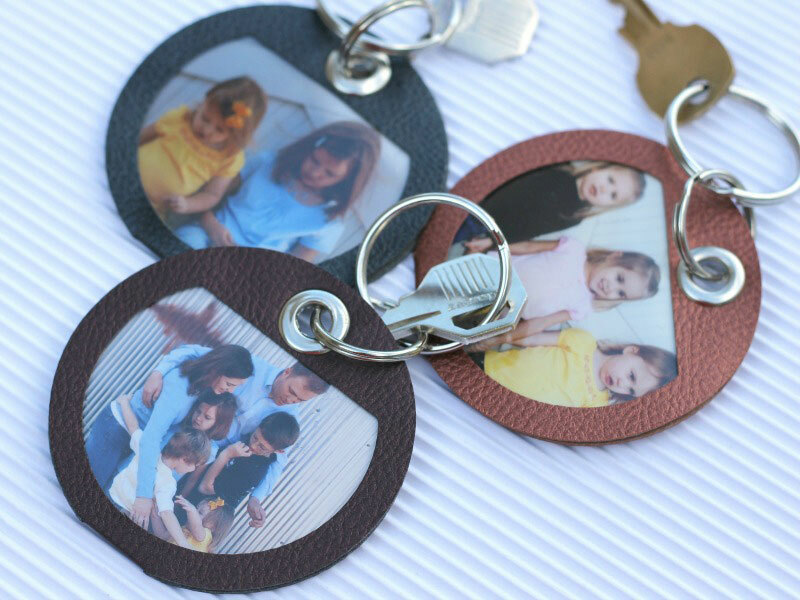 I used the StrongGrip mat when I made these adorable photo key fobs using the faux leather cutting material. You can find this photo key fob Make It Now project right here. For storing your mats, keep the clear film cover that comes with your mat in place after you are finished with your project to keep the mat free from dust and lint. 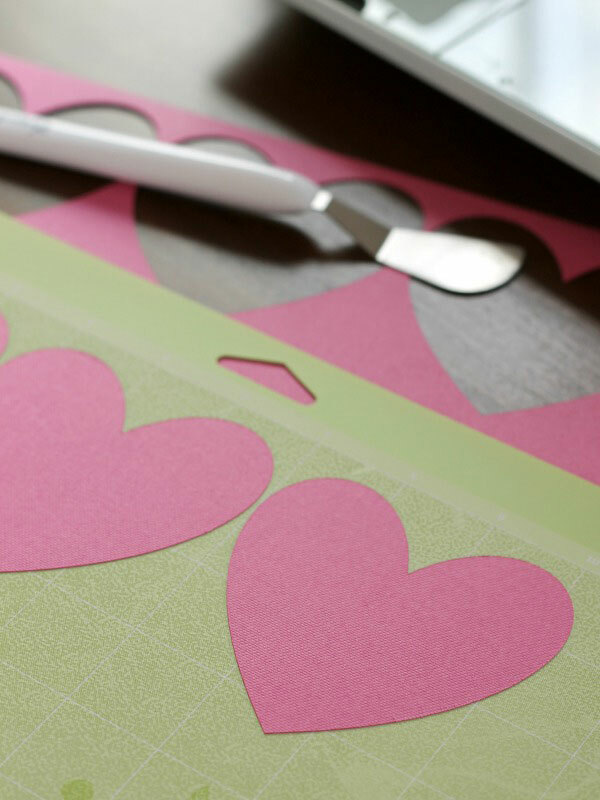 Use the Cricut Scraper tool to scrape off excess pieces of material left behind after your cut and use the Cricut spatula tool to carefully remove cut images off your mat. Only use the recommended material types on each of the three mats. This will keep your mats lasting longer and performing better. Consider purchasing mats in various sizes. You can find these mats in three sizes: 12x12, 12x24 and 6x12. Remember you will use blue for lightweight materials, green for medium-weight and purple for heavyweight materials. Let me know what your next Cricut project will be? What mat do you use most often? Let me know in the comments below. Also, let me know if you have any questions about which mat to use with your Cricut. I’d love to hear them! Thanks for the information. Even though I tried to keep my mats clean, they get dirty. what does Cricut say to do to clean the mats? I use soap and water and then let my mat air dry. Works like a charm!! How do you make the mats sticky again? This is great. I am going to save this to have as a reference. But can you help me with the cardstock? What is considered light, regular, and thick? Like Mischelle, I also would like to know what Cricut says to do/use to clean my mats. I would also like to know besides scraping is there any way to clean the mats. What size laptop is good to use with the cricut machines? I also wonder since my explore air 2 is just 4 months old would it be a waste to buy the maker? I’m looking for information to help me. Thank you ! Laptop size (if you mean screen) is more of a personal preference. Smaller ones may be a little harder to see but are more portable. As far as getting the Maker…you can do fabric on the Explore Air 2 if you use a stabilizer. You could try selling your Air 2 to fund a Maker if you don’t want to use stabilizer. Another neat idea that I saw someone mention in another comment was that she was holding local craft nights with a little fee where people could come use her machine for crafting to save up money. I have a lot of 1/8 inch oil tanned leather and 4oz (per sq ft) soft copper sheet. Are these materials too tough to use? or will they dull the knives or damage the machine? I am considering a machine but am having a hard time understanding the limits of it, or how much can be done when the internet is not available. 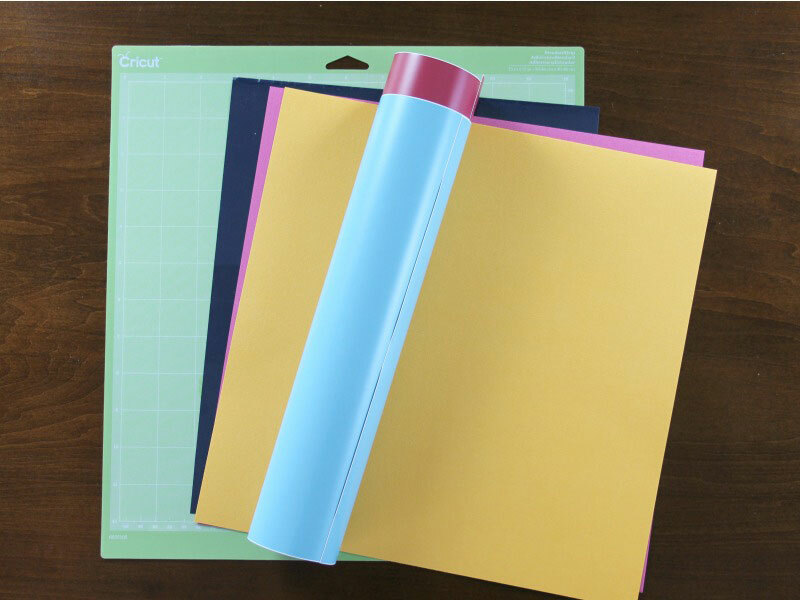 Stupid question: can I use a Fabricgrip mat to cut Glossy Paper?? The LightGrip mat is best for most papers since it will be easier to remove without tearing. I would like to know how to clean the mats as well, also how to keep them sticky. What about their Self-Healing Mats, are these better, does it matter? Hi. These are machine cutting mats. The self-healing mats are for cutting fabric and other materials with a rotary cutter or similar tool.